European Championships update – well done Owen Wells! 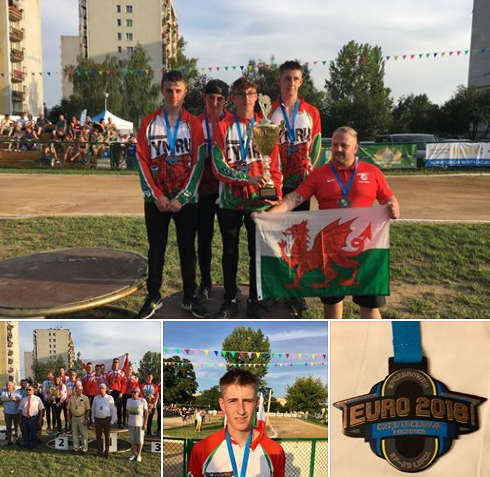 HETHERSETT HAWKS / MYHILL DECORATORS’ representatives in the European Championships in Poland had mixed fortunes but certainly put Hethersett on the map in Czestochowa, Poczesna and Bagely. In the Open Individual Championship Harley Hamill gave the best performance finishing 11th in his Elimination Round with 10 points. This put him through to the Repechage stage but competition was tough there and he failed to qualify with six points. It is back to local matters this weekend with a South East & Eastern Grand Prix open to all riders at Eaton Park Saturday (12 noon) and a home fixture with Sussex side Hellingly on Sunday (2 p.m.) – a fixture the Hawks must win to secure a play-off place. The 4th round of the GO-RIDE series is being held at Eaton Park on Wednesday, 1st August.